Entry-level forensic scientists must have at least a bachelor's degree in forensic science, chemistry, physics, biology or physical anthropology. They must take courses in biology, chemistry, physics and pharmacology and a class on statistics or quantitative analysis. Computer courses are recommended. Geometry and trigonometry help evaluate bullet trajectory. Students who study beyond a bachelor's degree specialize in subjects such as firearms examination. A Ph.D. will help toward advancement into administrative levels, such as lab director. They may also have the option of teaching forensic science at the college or university level. 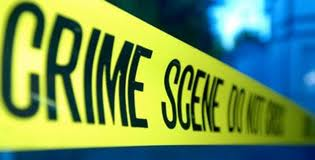 criminalists earn a national median of $23.97 hourly or $49,860 annually.forensic scientists typically work the 40-hour workweek, but they are also known to have irregular hours. They sometimes travel, but they spend most of their time within a laboratory and in offices drafting reports on their findings. Criminalists work with advanced and specialized technological equipment, such as chromatographs, spectrographs and computerized lab equipment. Occupations related to this field are jobs in criminal justice such as a lawyer, detective or police officer. Fire investigators is also a closely related occupation. This job appeals to me because you get to help get justice for victims and the families of victims. You also get to help identify the culpret and hopefully make them pay for their crimes. I also find it very interesting because i am obssesed with criminal minds.